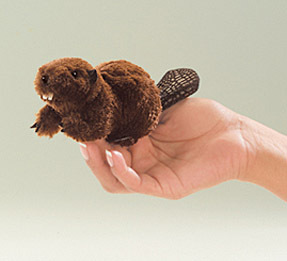 This mini beaver puppet is ready to get down to business. His resume includes sleek brown fur (for swimming), front teeth (for gnawing), a flat textured tail (for thumping) ready to go to anywhere with you. He enjoys travel or settling by your computer. Beaver measures 7" long.